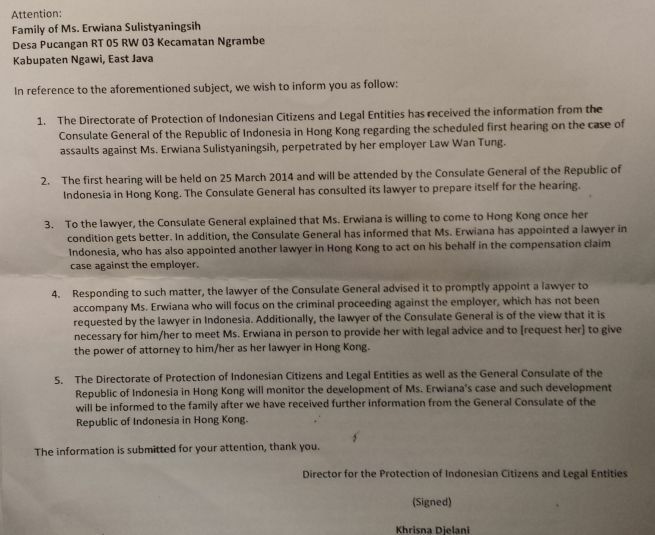 Share the post "NEWS – Indonesian Authorities Pressured Erwiana to Accept Gov’t Lawyer & Help From Agency"
A memorandum from Indonesia’s Ministry for Foreign Affairs also emerged instructing Chan Recruitment Agency (Erwiana’s original agency) to shoulder the expenses of her return to the city last week. 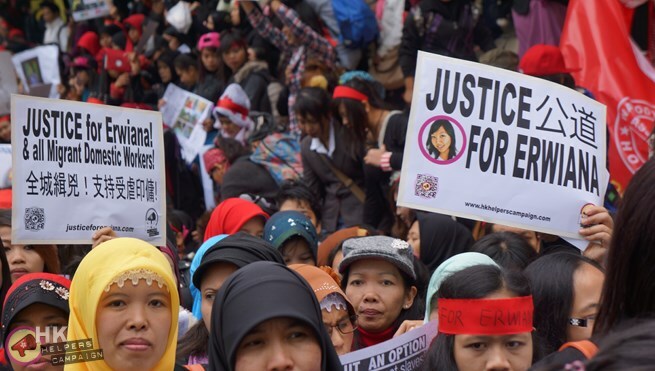 Erwiana’s requested to stay in NGO provided accommodation but was made to stay at the Indonesian consulate until finally being released yesterday. 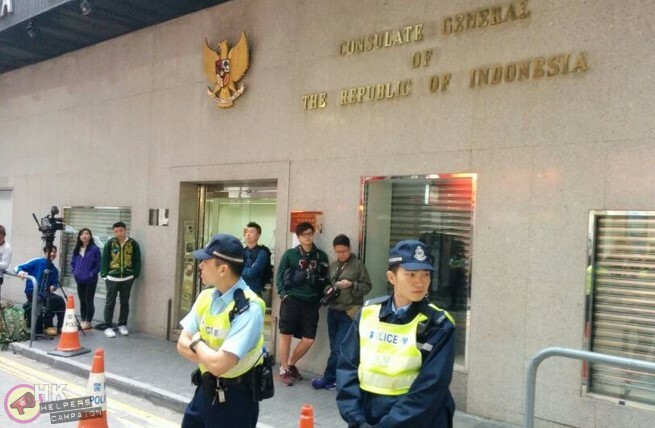 Indonesian consulate, Hong Kong, on Monday. Erwiana yesterday. 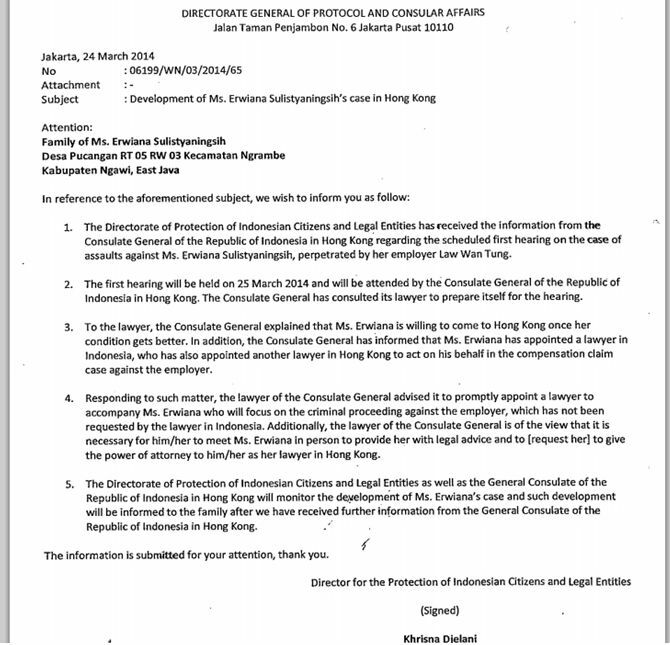 She is now staying with a Justice Committee NGO. Tweet this page. Share this page on Facebook or upload the timeline image below with a link. (Click then right-click to save the image). Click ‘donate’ and enter any amount in HK$. Click ‘pay with credit card’ if you do not have a PayPal account. 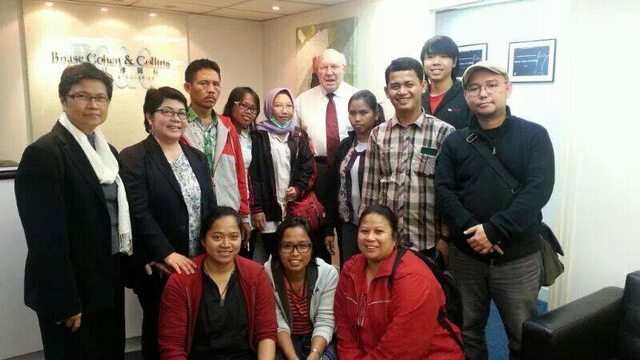 For other methods of donation, click here and indicate your contribution is ‘for Erwiana Committee’.